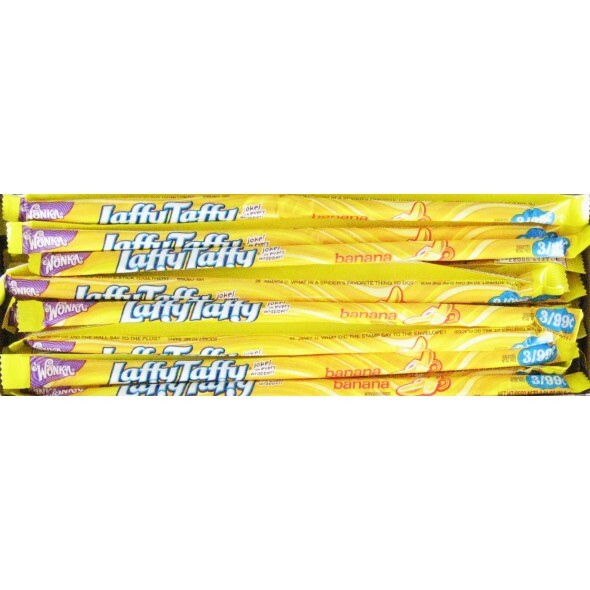 Wonka Laffy Taffy: 22g Banana flavour tangy and stretchy taffy. Jokes on every wrapper! Ingredients: Corn Syrup, Sugar, Plam Oil and less than 2% of malic acid, Mono-And Diglycerides, hydrogenated cottonseed oil, salt, soy lecithin, artificial flavour, Yellow 5.